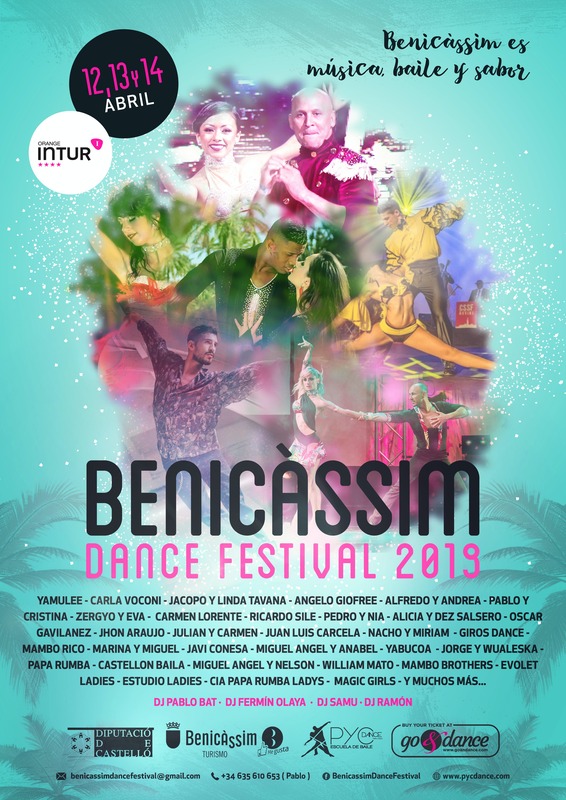 Benicàssim DANCE Festival 2019 - Mambo, Salsa On2, Salsa in Line, Bachata and Afro-Antillean Rhythms. The second edition of the congress will be held on 12, 13 and 14 April 2019 in Benicàssim, Castellón, Spain. After the success of the first edition this year we return with a spectacular poster for lovers of mambo, salsa, bachata and Afro-Antillean rhythms. 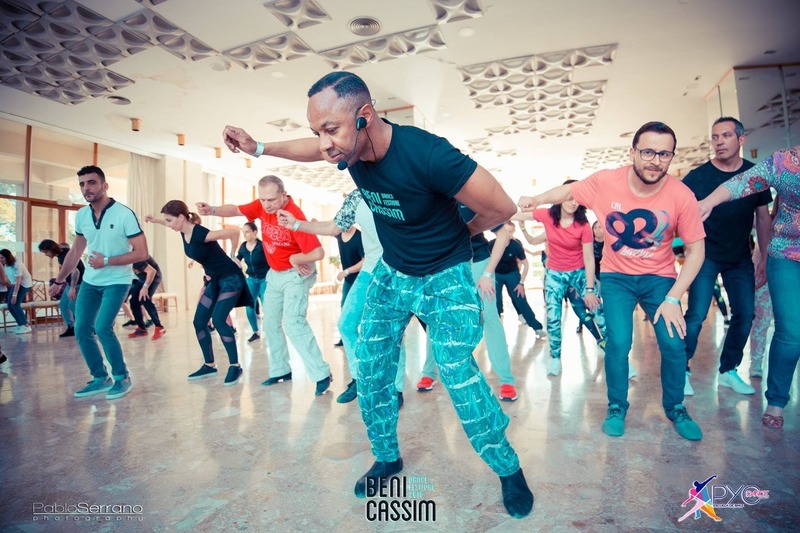 -	Workshops: 50% MAMBO and SALSA ON2, 15% Salsa in Line, 25% Bachata, 10% Afro-Antillean Dances. 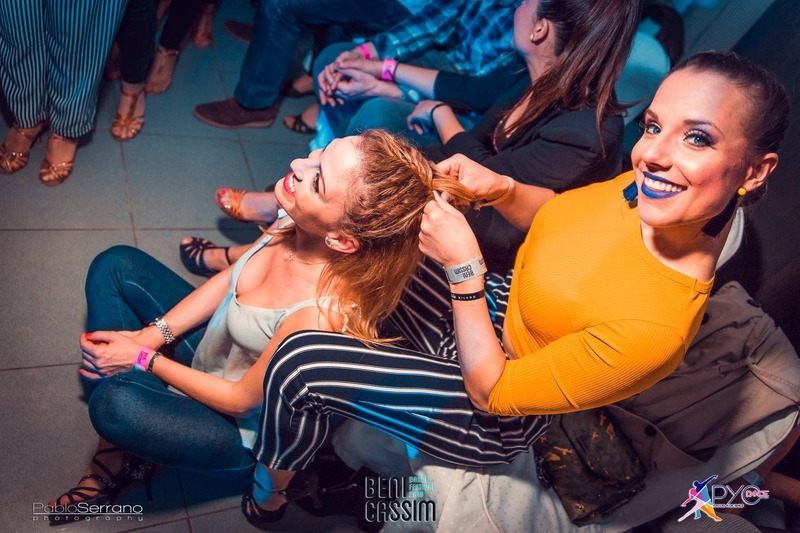 -	Social Dance: 60% Salsa and 40% Bachata. 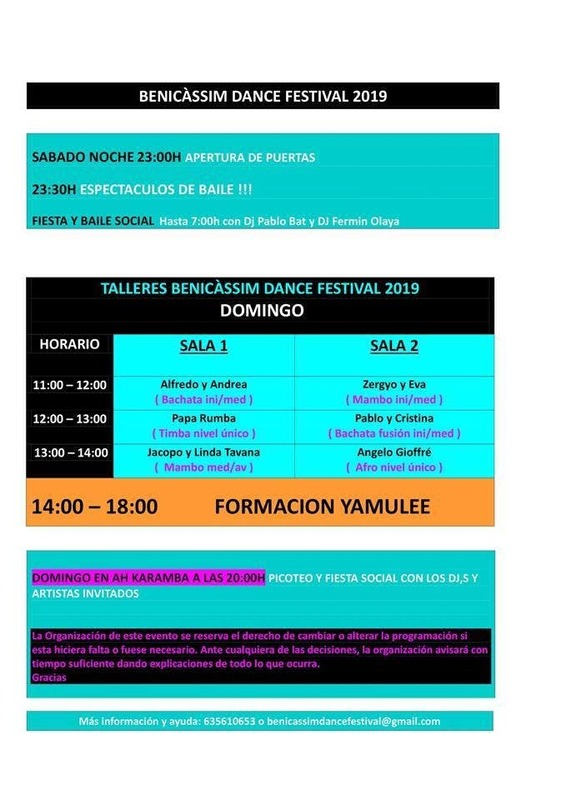 It is a congress both for those who have an initiation level, for those who want to improve these styles and also for those who know and want to deepen in Mambo and Salsa On2. We do not want a mass congress so we limit the Full Pass band to 400 so that there is space to dance and be at ease in the workshops and social dance. 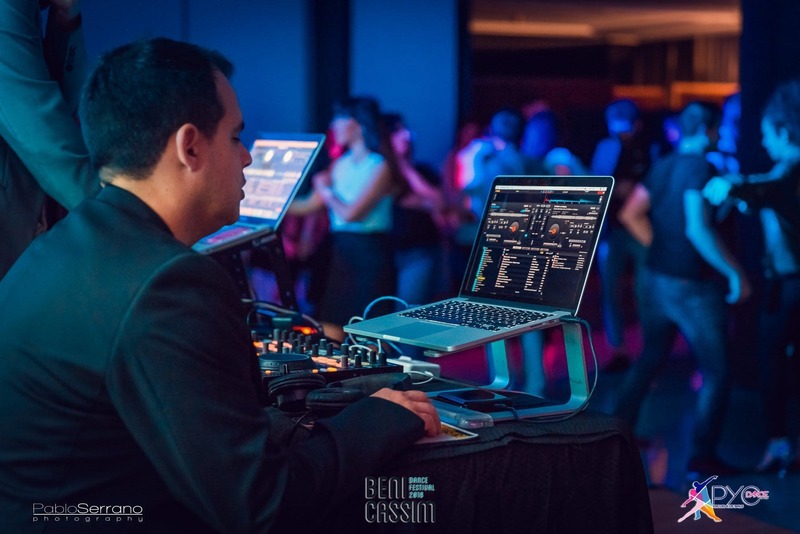 -	All parties, workshops and shows are held in the same hotel. -	Surroundings of the hotel, good food and different offer of leisure. The reservation must be made directly with the Hotel. 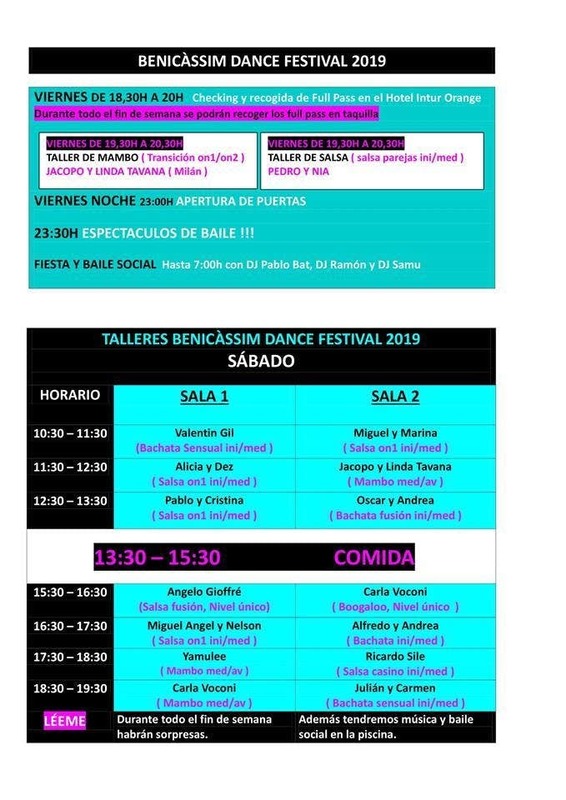 DON'T FORGET TO TELL THE HOTEL THAT YOU ARE ATTENDING THE BENICASSIM DANCE FESTIVAL SO THAT THEY CAN GIVE YOU THE REDUCED PRICE. In go&dance there are a few rooms available but once they are finished the reservation must be directly with the hotel. 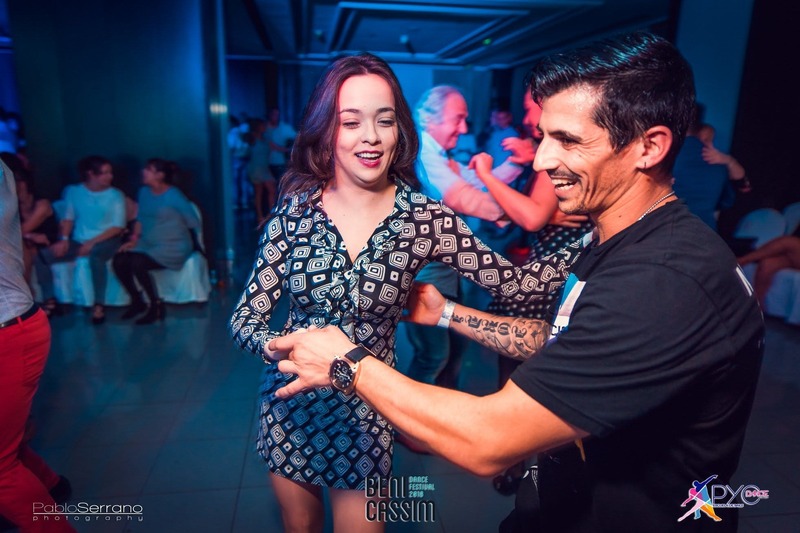 - Friday, Saturday and Sunday, dance classes for the day in simultaneous rooms for MAMBO, SALSA ON2, SALSA, BACHATA AND AFRO-ANTILLEAN RYTHMS. 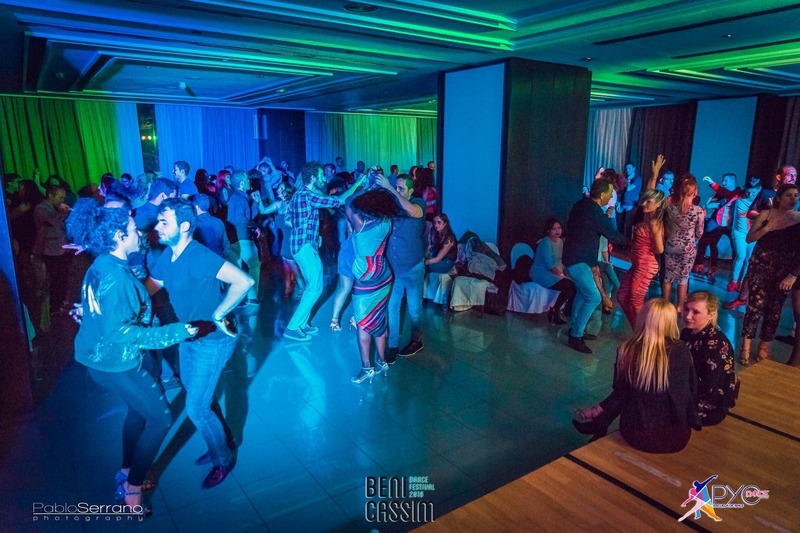 - FRIDAY evening SHOWS of the guest artists and then PARTY AND SOCIAL DANCE. -	1 night accommodation in PC + FULL PASS: 95€. -	2 nights accommodation in PC + FULL PASS: 140€. 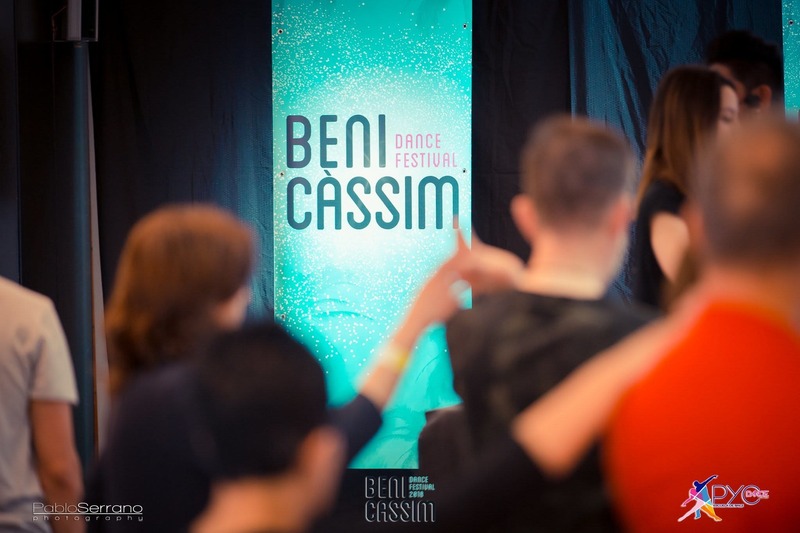 Includes Friday, Saturday and Sunday workshops + Friday show, Saturday shows and Friday, Saturday and Sunday parties. -	A total of 400 Full Passes will be sold. When that number is reached NO more can be purchased. Neither at the door, nor online, nor with any teacher, nor organizer of the event.